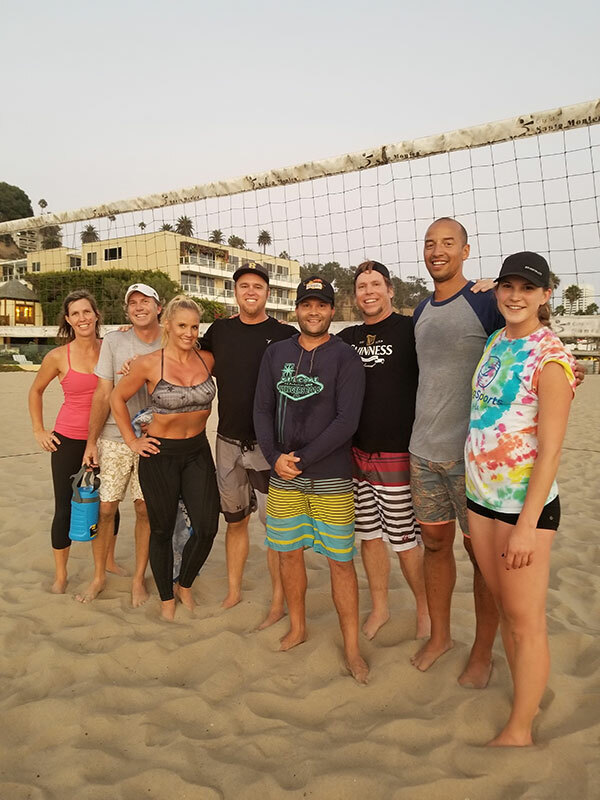 24th Annual Co-Ed Doubles Beach Volleyball Leagues will start on Monday, April 15th and Wednesday, April 17th at 6:15 PM at Sorrento Beach in Santa Monica, California. Check in at 6:15 PM with games to start no later than 6:30 PM. There are two separate leagues. The first one meets on Monday's and the second meets on Wednesday's. 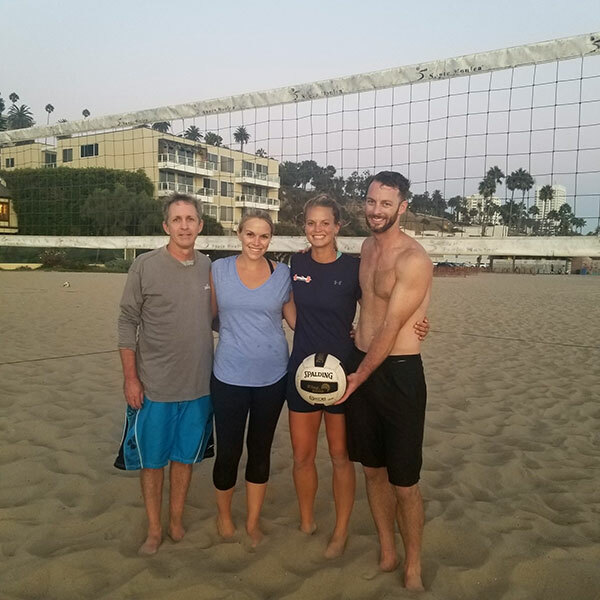 Both leagues are open to all ability levels, but keep in mind it is doubles volleyball. This means there are only two people on each side of the court. True beginners might want to start with our Clinics or Co-ed Fours. The Spring Monday League runs for eleven weeks from Monday April 15th to Monday June 24th. The Spring Wednesday League runs for eleven weeks from Wednesday April 17th to Wednesday June 26th. The Summer Leagues begin Monday July 8th and Wednesday July 10th and run for ten weeks until Monday September 9th and Wednesday September 11th! The organizers take great care in trying to match up people's ability levels so that a Double A rated team won't play a Novice team. However, more important than skill level, most of the teams come out to enjoy their evenings on the beach. The league is definitely characterized by a great group of people that want to enjoy life. On a typical night, you will play three games against the same team. The following week, you will play a different opponent. Scores for all three games are kept for league standings. 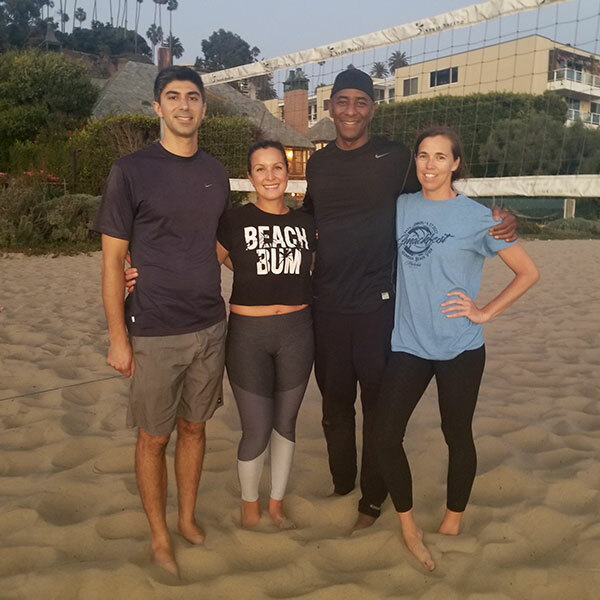 The last two weeks of the league is the tournament to ultimately determine the King and Queen of the beach. These leagues are a Southern California institution, which have been responsible for more marriages than any other league we know. The courts have been described by the L.A. Times as, "the best, most manicured in the city." Come out and enjoy the fun! Please call us with any questions Charlie - (310) 874-3315 or Lynn - (310) 993-4934.